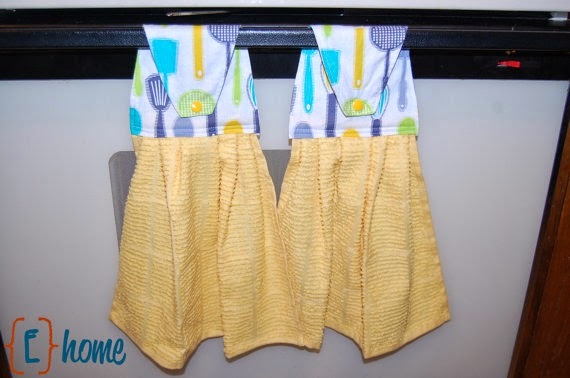 My hanging kitchen towels are a MUST in this house! Why do I love them so much?! 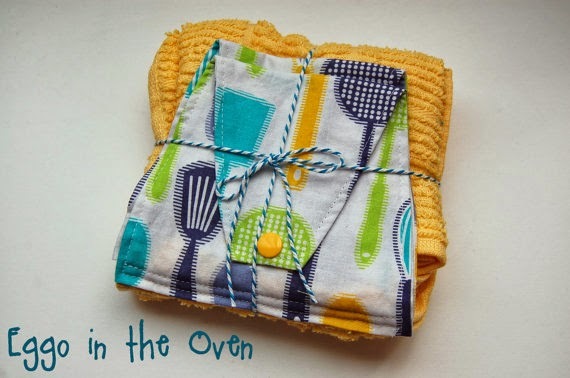 Well... with two kiddos who LOVE to "help" us cook / are always underfoot, these towels do.not.disappear! They stay nice and secure - always there and ready to dry off my hands - or a small dish / cup. They also don't fall off when I open the oven! Yep.... LOVE! There are just two sets left in my Etsy shop - guess it's time for me to sew up some more! 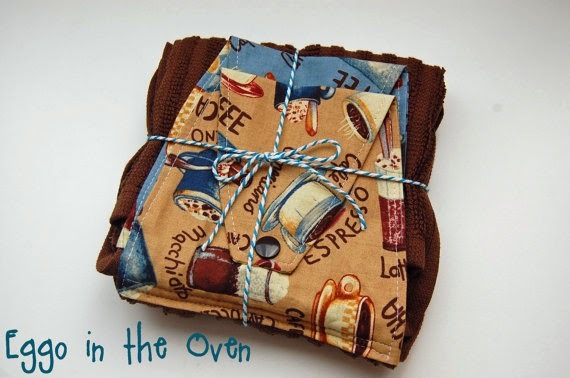 Oh... and they make awesome host / hostess gifts - or housewarming gifts. They'll snap around anything - fridge handle, oven handle, cabinet pull.... I just can't say enough about how great they are! You have the opportunity to earn FOUR entries! Wahoo! Have fun - and good luck! Giveaway will close at 12:00AM PST on Monday 3/17 - I will announce the winner here in this blog post, and contact them by email, on 3/17. Giveaway is open to Residents of the US and Canada ONLY. Congrats to Emma O. 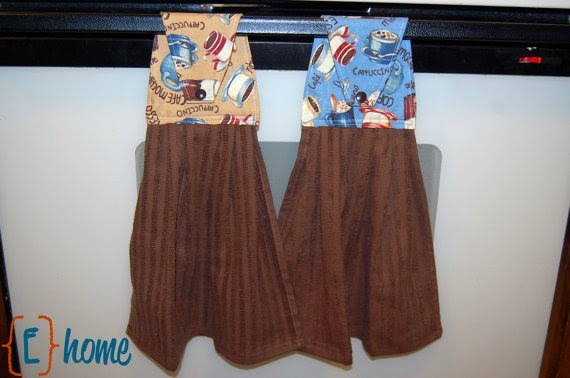 (Entry #4) - winner of the set of kitchen towels! Thanks to all who entered! I want to come pick my fabric in person! I love the utensil fabric. Cuteness!!!! I love the yellow with the bright utensils. Bright floral and dots...very possibly one of my favorites! :) (towels and fabric)! Yellow/grey chevron or navy/cream mini chevron!